Locating the proper auto finance companies that specialize in bad credit car loans is actually not as difficult as some might believe it to be. The truth is that car buyers can qualify for car loans with bad credit ratings from just about every type of organization that provides financial assistance. There are definitely certain lending outlets that are more popular than others, but for the most part consumers have a very open selection for financing. One of the more well known ways to aquire an auto loan with any type of credit is through a person's own personal bank or credit union. For most buyers this type of bad credit car loan company is either their first or second choice when applying for a loan, and for very good reason. For example, the opportunity to aquire a car loan from a bank with no credit can actually be more likely than with a dealer in some cases, due to the banks knowledge of the borrowers income status and spending habits. Those who are able to prove that they have the monthly income to sustain a no credit or even poor credit car loan have a good shot of qualifying for vehicle financing from a bank loan company. The same can be said for bad credit auto loans from credit unions, which have actually become more popular in the last few years due to their ability to offer good loan terms with great rates as well. Car loan companies like banks and credit unions are also well known for offering special financing opportunities to their current and long time members that may not be found we other financing lenders. Another ideal auto loan company that specializes in sub prime financing are local new and used car dealers. These are great finance companies worth considering if you have not been with a certain bank or credit union long enough to establish a good reputation with them. Dealerships are also a good choice for auto financing because of their numerous incentives on their vehicles and loan programs. These special incentives are normally handed down by either the manufacuturer, another finance company, or in some cases apart of their own in house financing. 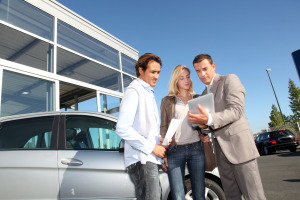 Consumers will find that car lot loans offer them the chance to finance a vehicle without a down payment, get better bad credit car financing rates, or even use another form of income for financing. It's also important to keep in mind that certain types of dealership loan companies specialize in tote the note auto financing, which is not the ideal loan method due to how costly it can be at times. With all of that said, if you want apply with a bad credit loan company you can easily do that with AutoNet Financial today. We have helping people with poor credit find the perfect lending companies for well over 22 years, and we can make assist you in the same method. So if you want to make sure get the best financing assistance for a local dealer we ask that you fill out our online application and we will help you get your ideal car in no time at all. Here at AutoNet Financial we help people that earn over $1,500 per month, regardless of how long they have been on the job finance the best cars in their area. We also offer helpful advice on local loan companies, credit repair, and sub prime auto financing so that you can get a vehicle loan today.